Chanteur Rhythm 'n' Blues US n� Benjamin Earl Nelson, le 28 Septembre 1938 � Henderson (Caroline du Nord). Ben E. King arriva � New York en 1950 quand ses parents vinrent y �tablir leur domicile. Il commen�a sa carri�re de chanteur avec les Five Crowns puis Drifters, dont il fut le soliste. 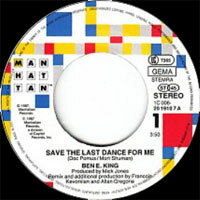 Ben E. King continua une carri�re en solo fin 1961 qui se solda par d'immenses succ�s. Ben E. King est d�c�d� le 30 Avril 2015 dans le New Jersey. From the groundbreaking orchestrated productions of the Drifters to his own solo hits, Ben E. King was the definition of R&B elegance. King's plaintive baritone had all the passion of gospel, but the settings in which it was displayed were tailored more for his honey smooth phrasing and crisp enunciation, proving for perhaps the first time that R&B could be sophisticated and accessible to straight pop audiences. 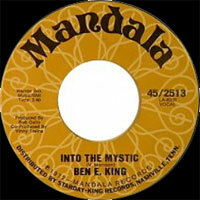 King's approach influenced countless smooth soul singers in his wake and his records were key forerunners of the Motown sound. King was born Benjamin Earl Nelson in Henderson, NC, in 1938, and sang with his church choir before the family moved to Harlem in 1947. In junior high, he began performing with a street corner doo wop group called the Four B's, which won second place in an Apollo Theater talent contest. While still in high school, he was offered a chance to join the Moonglows, but was simply too young and inexperienced to stick. He subsequently worked at his father's restaurant as a singing waiter, which led to an invitation to become the baritone singer in a doo wop outfit called the Five Crowns in 1958. The Five Crowns performed several gigs at the Apollo Theater along with the Drifters, whose career had begun to flounder in the years since original lead singer Clyde McPhatter departed. Drifters manager George Treadwell, dissatisfied with the group members' unreliability and lack of success, fired them all in the summer of 1958 and hired the Five Crowns to assume the name of the Drifters (which he owned). The new the Drifters toured for about a year, playing to often hostile audiences who knew they were a completely different group. In early 1959, they went into the studio with producers Jerry Leiber and Mike Stoller to cut their first records. A song Nelson (still performing under his given name) co-wrote called "There Goes My Baby" became his first lead Vocals and the lush backing arrangement made highly unorthodox (in fact, virtually unheard-of) use of a string section. "There Goes My Baby" became a massive hit, laying the groundwork for virtually every smooth/uptown soul production that followed. Over the next two years, Nelson sang lead on several other Drifters classics, including "Dance With Me," "This Magic Moment," "Save the Last Dance for Me," and "I Count the Tears." In 1960, Nelson approached Treadwell about a salary increase and a fairer share of the group's royalties. 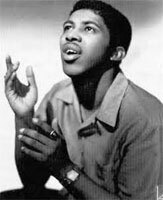 Treadwell rebuffed him and Nelson quit the group, at this point assuming the more memorable stage name Ben E. King in preparation for a solo career. Remaining on Atlantic, King scored his first solo hit with the stylish, Latin-tinged ballad "Spanish Harlem," a Jerry Leiber/Phil Spector composition that hit the Top Ten in early 1961. The follow-up, "Stand By Me," a heartfelt ode to friendship and devotion co-written by King, became his signature song and an enduring R&B classic; it was also his biggest hit, topping the R&B charts and reaching the pop Top Five. King scored a few more chart singles through 1963, including velvety smooth pop-soul productions like "Amor," "Don't Play That Song (You Lied)," and the Italian tune "I (Who Have Nothing)." 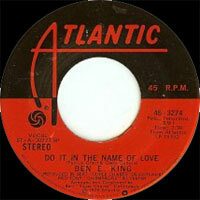 In the post-British Invasion years, King had a rough go of it on the pop charts but continued to score R&B hits. 1967's Southern-fried "What Is Soul?" 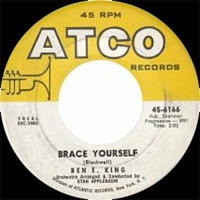 was one of his last singles for Atco; seeking to revive his commercial fortunes, King departed in 1969. 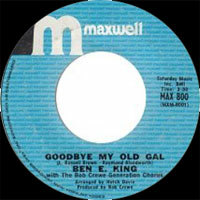 A 1970 album on Maxwell, Rough Edges, failed to generate much attention, and King was forced to make a living touring the oldies circuit. In 1975, Atlantic president Ahmet Ertegun caught King's act in a Miami lounge and invited him to re-sign with the label. King scored an unlikely comeback smash with the disco track "Supernatural Thing, Part I," which returned him to the top of the R&B charts in 1975 and also reached the pop Top Five. While he was unable to duplicate that single's success, King recorded several more albums for Atlantic up through 1981, and also collaborated with the Average White Band in 1977 on the album Benny & Us. After leaving Atlantic a second time, King toured in a version of the Drifters beginning in 1982. In 1986, "Stand By Me" was prominently featured in the Rob Reiner film of the same name; re-released as a single, it climbed into the Top Ten all over again. In its wake, King returned to solo recording, issuing a new album every few years all the way up through the '90s. He also guested on recordings by Heaven 17 and Mark Knopfler, among others. King's 1999 album Shades of Blue (on Half Note Records) found him branching out into jazz territory, performing with a big band and guests like Milt Jackson and David "Fathead" Newman. 2006 saw the release of a brand new album, I've Been Around, on True Life Records. Ben E. King died April 30, 2015 in New Jersey.